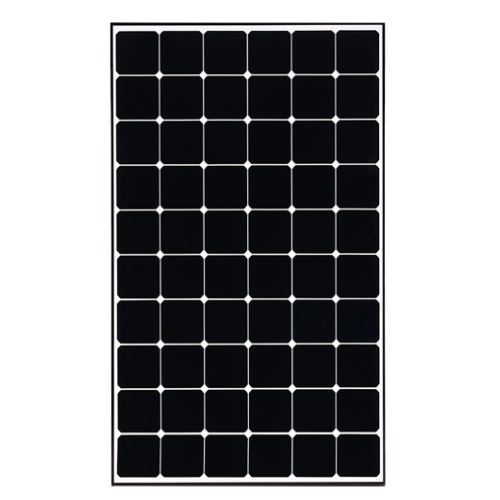 Highly efficient module giving 365W from a panel physically almost the same size as a 250W, great if you have limited space. LG NeON® R has an enhanced performance warranty. After 25 years, LG NeON® R is guaranteed at least 87.0 of initial performance. The LG NeON® R has been designed to significantly enhance its output making it efficient even in limited space. LG NeON® R has been designed with aesthetics in mind: no electrode on the front that makes new product more aesthetic. LG NeON® R can increase the value of a property with its modern design. LG NeON® R now performs better on a sunny days thanks to its improved temperature coefficient. The n-type cells used in LG NeON® R have almost no boron, which may cause the initial performance degradation, leading to less LID.